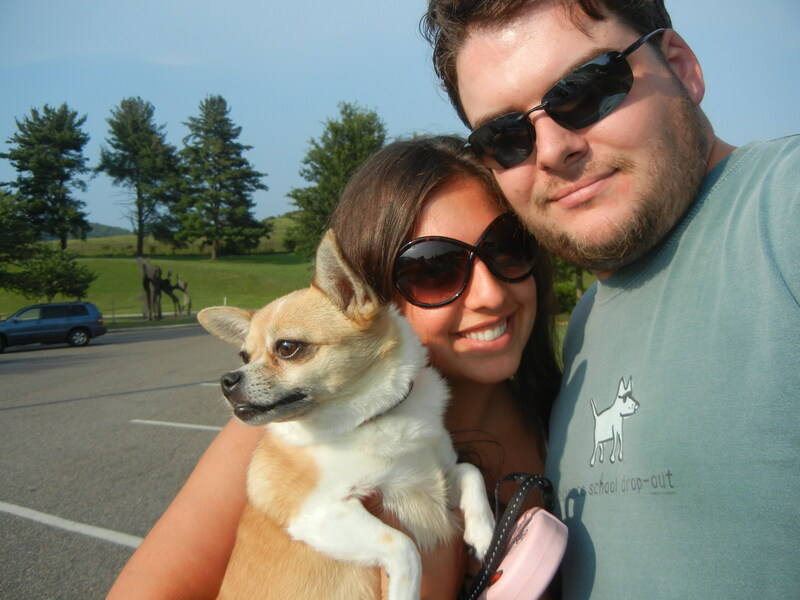 Our anniversary was August 17th! 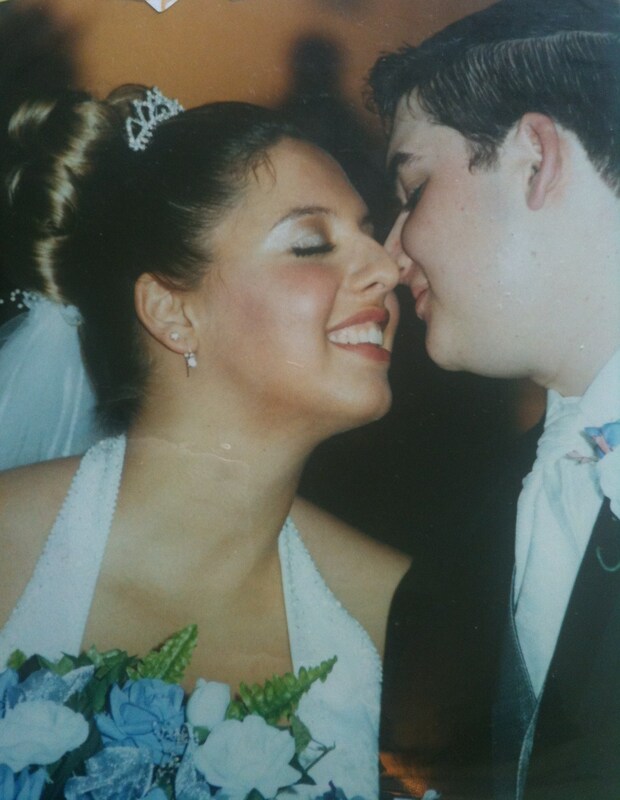 Jason and I have been married nine years! Nine whole years! It seems a bit surreal when I think about it. I don’t even feel like someone who is even old enough to be married 9 years. (I did get married before I was old enough to drink, so I guess that isn’t exactly the norm.). Jason and I really aren’t big on gifts. We pretty much just spend the day together and try to go on a little trip for a day or two. This year I had a surprise up my sleeve. Jason is always saying how we don’t have enough art in our house (actually we have no art). I agree, but I just have a hard time finding the right things to display in our house. I want something modern, but not too modern, maybe landscapes, but not too old and stuffy. Anyhow, we were at Bed Bath and Beyond and J showed me a painting he liked. I snapped a few pics of it. 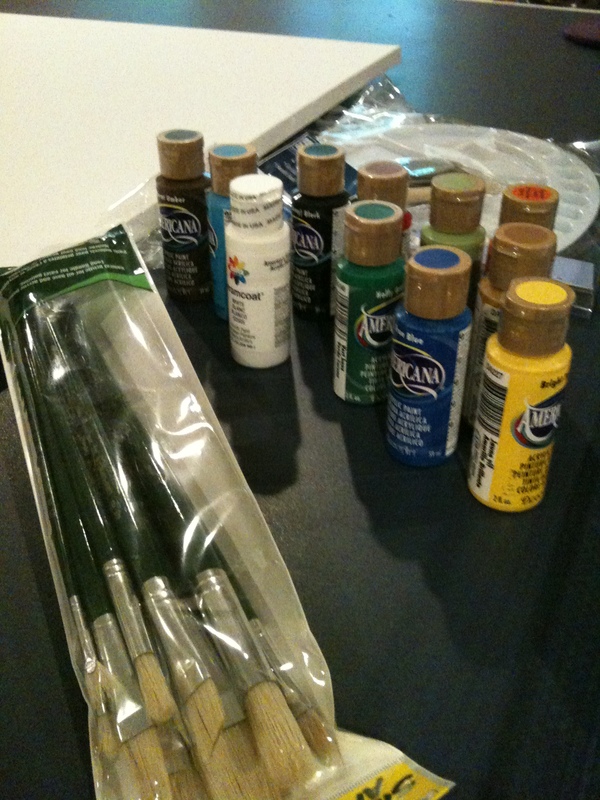 A few days later I went to the craft store and picked up a canvas, some paints and paintbrushes. 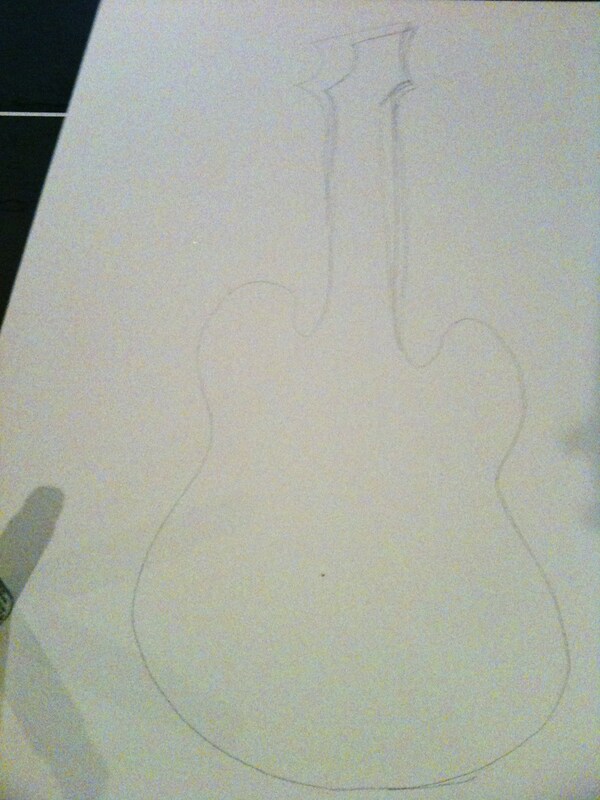 I started by drawling the outline of the guitar. Then, using the pictures on my IPhone as a guide, I replicated the painting in my own way. It turned out better than I could have imagined! I have no paining, or drawing talent at all so I was super impressed! 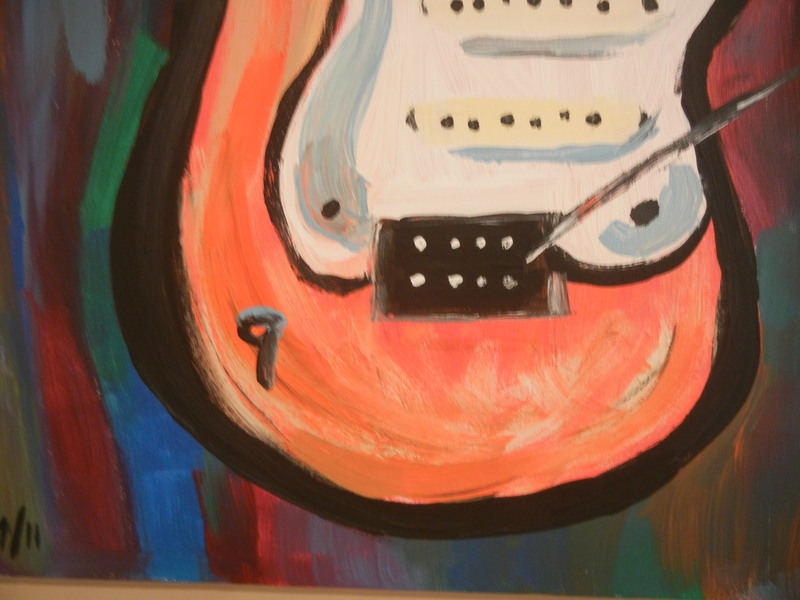 I added a “9” on the guitar for our 9 years together and that blue blob in the bottom corner is Daisy’s footprint. 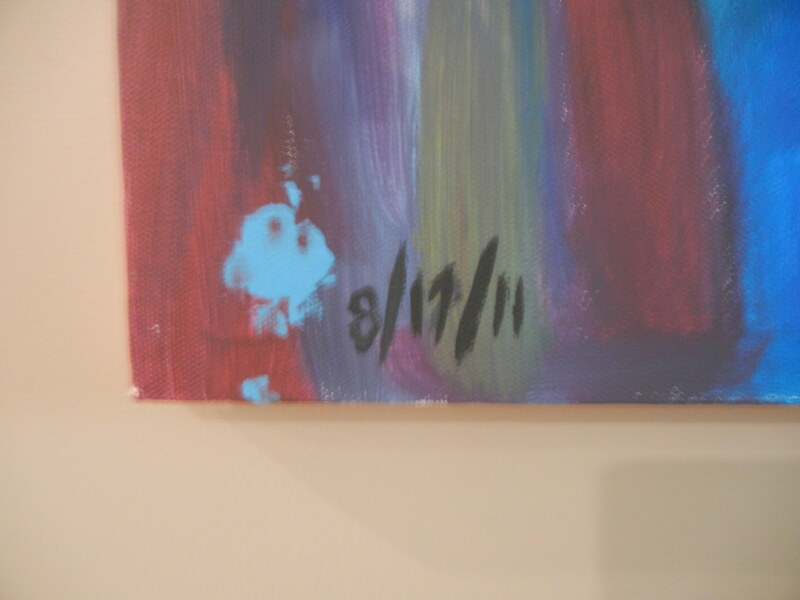 I wanted to hide it and give it to him on our actual anniversary, but I was way too excited to show him it. I told him I had a surprise for him in the basement when he got home. Once he saw it, he was so surprised and happy! 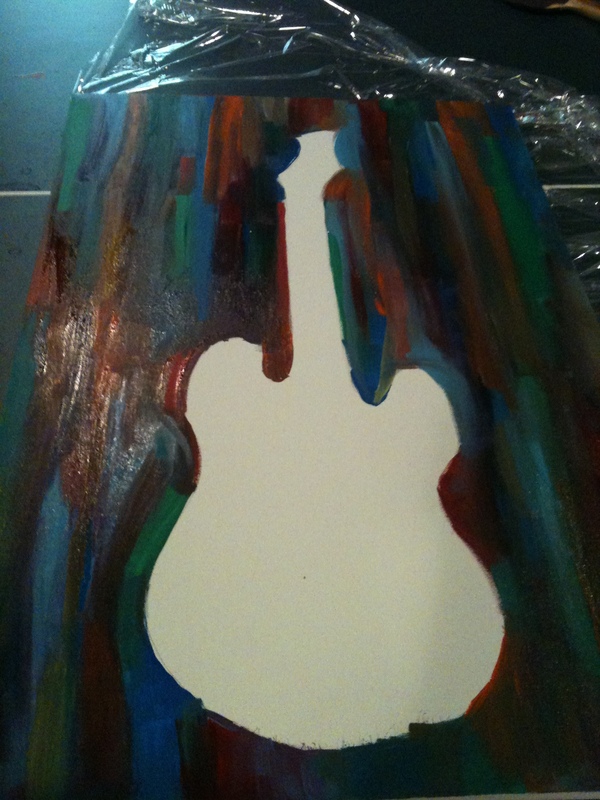 He even asked me if I had started with a blank canvas. He told me he loved it more than anything that we could ever buy. He hung it up right that second. He even took a picture and put it on Facebook, which he doesn’t even get on very often. I am so happy with how it turned out. Jason even showed it to a friend who asked if it was paint by number. Is that a compliment? Either way, I am so glad that Jason liked it. 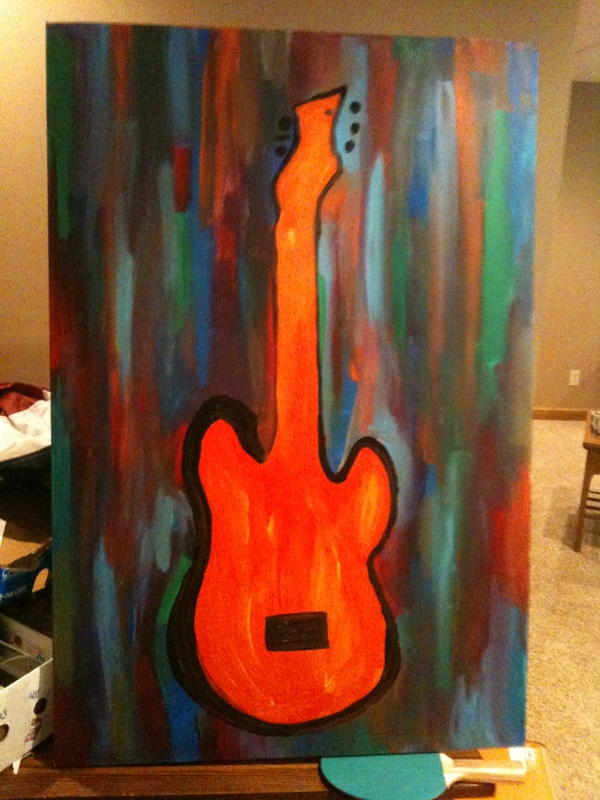 It makes me want to have more personal art like that throughout our home! 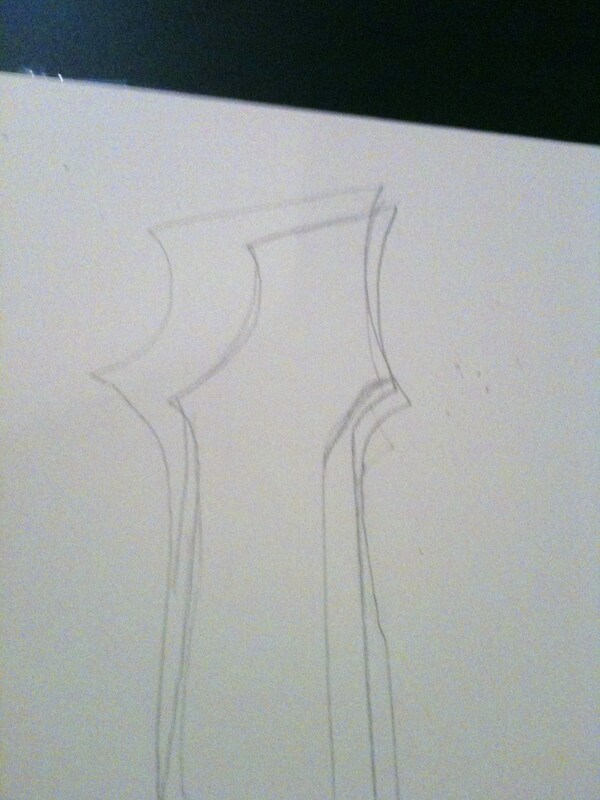 I have a few ton of ideas floating around in my head right now, I can’t wait to get started! 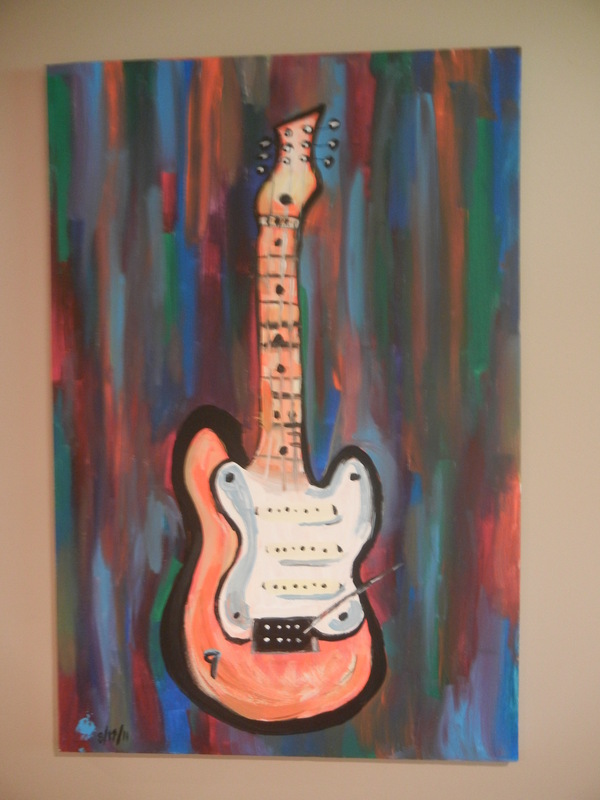 Do you have any art in your home with a personal meaning? 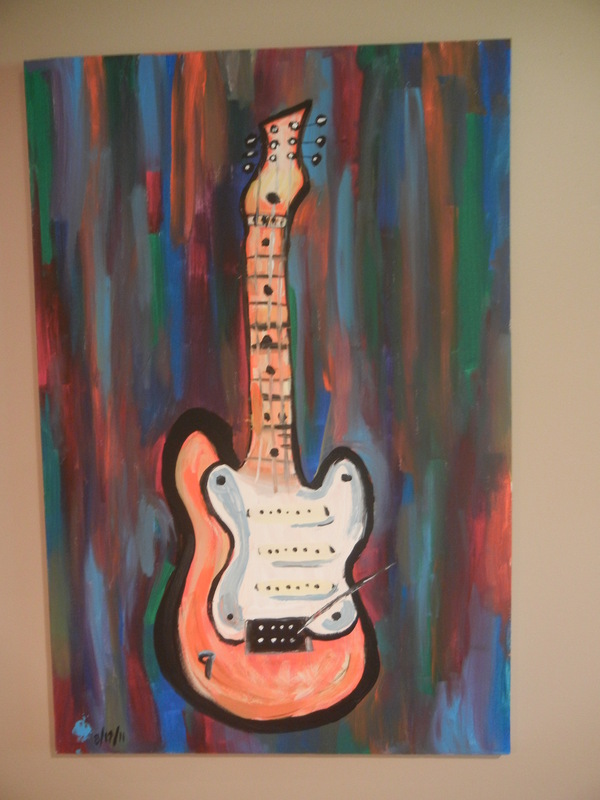 This entry was posted in decorating on a budget, DIY and tagged 9 years, anniversary gift, canvas, diy, guitar, painting, painting idea by Lauren. Bookmark the permalink. And happy belated anniversary, girl! We just celebrated our 3rd anniversary on the 16th and I can hardly believe how fast the time has gone. We dated 4 years before we got married so it’s crazy that we’ve been together for 7 years come next month! Time flies when you’re having fun, eh?